Here we look at Savvii web hosting reviews and give an overview of their services. 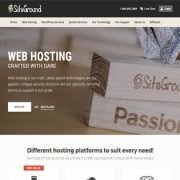 This Dutch company pride themselves on WordPress Hosting that is fast, secure, easy to use, and with great service. Savvii offers a 30-day money back guarantee, and there are no long-term contracts – just a month-to-month based rolling agreement. They also offer dedicated support services for WooCommerce hosting to take care of ecommerce websites. This includes a site migration services, as well as free SSL certificates so that you have an HTTPS URL, which is becoming increasingly important for customer trust – especially when it comes to online shopping. It is also more and more important for SEO, as Google is believed to give a slight ranking boost to HTTPS URLs. 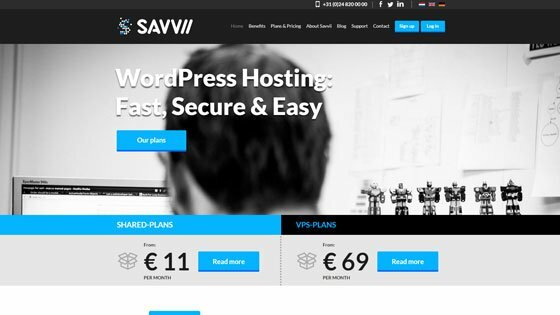 From our analysis of online reputation, Savvii web hosting reviews show an average score of 8.5/10, so look like they offer good quality and reliable solutions. As they are based in the Netherlands, Savvii could be ideal for hosting websites where visitors are largely based in central Europe.